Below are just a few shots of our teams in action in various locations in the UK and abroad, deploying communications systems and providing support functions. Use your browsers "BACK" button to come back to this page after viewing a photo. 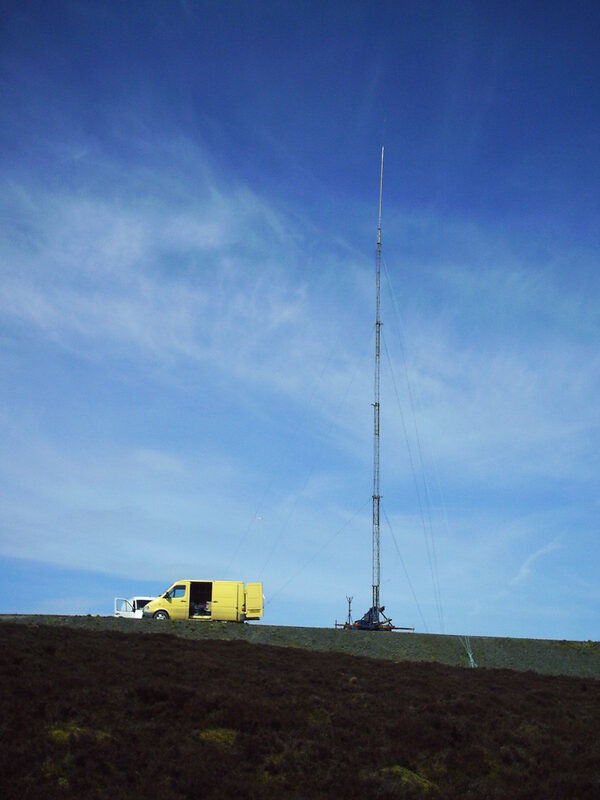 Our 1000 foot Clarks mast :-) Only kidding - It's a 100ft but looks impressive from here!